Bechuanaland was visited by Europeans towards the close of the 18th century. The generally nomadic and peaceful disposition of the tribes rendered the opening up of the country comparatively easy. The first regular expedition to penetrate far inland was in 1801-1802, when John Truter, of the Cape judicial bench, and William Somerville, an army physician, were sent to the Bechuana tribes to buy cattle. The London Missionary Society established stations in what is now Griqualand West in 1803, and in 1818 the station of Kuruman, in Bechuanaland proper, was founded. In about 1817 Mosilikatze, the founder of the Matabele nation, fleeing from the wrath of Shaka, the Zulu king, began his career of conquest, during which he ravaged a great part of Bechuanaland and enrolled large numbers of Bechuana in his armies. Eventually the Matabele settled to the north-east in the country. In 1821 Robert Moffat arrived at Kuruman as agent of the London Missionary Society, and made it his headquarters for fifty years. Largely as the result of the work of Moffat (who translated the Bechuana tongue to writing), and of other missionaries, the Bechuana advanced notably. The arrival of David Livingstone in 1841 marked the beginning of the systematic exploration of the northern regions. His travels, and those of C. J. Andersson (1853-1858) and others, covered almost every part of the country hitherto unknown. In 1864 Karl Mauch discovered gold in the Tati district. As early as 1836 an act was passed extending the jurisdiction of the Cape courts in certain cases as far north as 25 S.a limit which included the southern part of Bechuanaland. Although under strong British influence the country was nevertheless ruled by its own chiefs, among whom the best-known in the middle of the 19th century were Montsioa, chief of the Barolong, and Sechele, chief of the Bakwena and a friend of Livingstone. At this period the Transvaal Boers were in a very unsettled state, and those living in the western districts showed a marked inclination to encroach upon the lands of the Bechuana. In 1852 Great Britain by the Sand river convention acknowledged the independence of the Transvaal. Save the Vaal river no frontier was indicated and so the Boers felt at liberty to assault the Bakwains (Bakwena). I write to you, Sir Henry, in order that your queen may preserve for me my country, it being in her hands. The Boers are coming into it, and I do not like them. Their actions are cruel among us black people. We are like money, they sell us and our children. I ask Her Majesty to defend me, as she defends all her people. There are three things which distress me very much war, selling people, and drink. All these things I shall find in the Boers, and it is these things which destroy people to make an end of them in the country. The custom of the Boers has always been to cause people to be sold, and to-day they are still selling people. The statements of Khama in this letter do not appear to have been exaggerated. The testimony of Livingstone confirms them, and even a Dutch clergyman, writing in 1869, described the system of apprenticeship of natives which the Boers used as slavery in the fullest sense of the word. 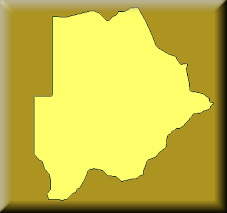 These representations on the part of the Barolong, and the Bamangvato under Khama, supported by the representations of Cape politicians, led in 1878 to the military occupation of southern Bechuanaland by a British force under Colonel (afterwards General Sir Charles) Warren. A small police force continued to occupy the district until April 1881, but, ignoring the wishes of the Bechuana and the recommendations of Sir Bartle Frere (then high commissioner), the home government refused to take the country under British protection. On the withdrawal of the police, southern Bechuanaland fell into a state of anarchy, nor did the fixing (on paper) of the frontier between it and the Transvaal by the Pretoria convention of August 1881 have any beneficial effect. There was fighting between Montsioa and Moshette, while Massow, a Batlapin chief, invited the aid of the Boers against Mankoroane, who claimed to be paramount chief of the Batlapin. The Transvaal War of that date offered opportunities to the freebooting Boers of the west which were not to be lost. At this time the British, wearied of South African troubles, were disinclined to respond to native appeals for help. Consequently the Boers proceeded without let or hindrance with their conquest and annexation of Stellaland territory. In 1882 they set up the republic of Stellaland with Vryburg as its capital, and forthwith proceeded to set up the republic of Goshen, farther north, in spite of the protests of Montsioa, and established a small town called Rooi Grond as capital. They then summoned Montsioa to quit the territory. The efforts of the British authorities at this period (1882-1883) to bring about a satisfactory settlement were feeble and futile, and fighting continued until peace was made entirely on Boer lines. The Transvaal government was to have supreme power, and to be the final arbiter in case of future quarrels arising among the native chiefs. This agreement, arrived at without any reference to the British government, was a breach of the Pretoria convention, and led to an intimation on the part of Great Britain that she could not recognize the new republics. In South Africa, as well as in England, strong feeling was aroused by this act of aggression. Unless steps were taken at once, the whole of Bechuanaland might be permanently lost, while German territory on the west might readily be extended to join with that of the Boers. In the London convention of February 1884, conceded by Lord Derby in response to the overtures of Beer delegates, the Transvaal boundaries were again defined, part of eastern Bechuanaland being included in Boer territory. In spite of the convention the Boers remained in Stellaland and Goshen which were west of the new Transvaal frontier, and in April 1884 the Rev. John Mackenzie, who had succeeded Livingstone. was sent to the country to arrange matters. He found very little difficulty in negotiating with the various Bechuana chiefs, but with the Boers he was not so successful. In Goshen the Boers defied his authority, while in Stellaland only a half-hearted acceptance of it was given. At the instance of the new Cape government, formed in May and under control of the Afrikander Bond, Mackenzie, who was accused of being too pro-Bechuana and who had been refused the help of any armed force, was recalled on the 3oth of July by the high commissioner, Sir Hercules Robinson. In his place Cecil Rhodes, then leader of the Opposition in the Cape parliament, was sent to Bechuanaland. Rhodes' mission was attended with great difficulty. British prestige after the disastrous Boer War of 1881 was at a very low ebb, and he realized that he could not count on any active help from the imperial or colonial authorities. He adopted a tone of conciliation, and decided that the Stellaland republic should remain under a sort of British suzerainty. But in Goshen the Boers would let him do nothing. Commandant P. J. Joubert, after meeting him at Rooi Grond, entered the country and attacked Montsioa. Rhodes then left under protest, declaring that the Boers were making war against Great Britain. The Boers now (10th of September) proclaimed the country under Transvaal protection. This was a breach of the London convention, and President Kruger explained that the steps had been taken in the interests of humanity. Indignant protest in Cape Town and throughout South Africa, as well as England, led to the despatch in October 1884 of the Warren expedition, which was sent out by the British government to remove the filibusters, to bring about peace in the country, and to hold it until further measures were decided upon. Before Sir Charles Warren reached Africa, Sir Thomas Upington, the Cape premier, and Sir Gordon Sprigg, the treasurer-general, went to Bechuanaland and arranged a settlement which would have left the Boer filibusters in possession, but the imperial government refused to take notice of this settlement. Public opinion throughout Great Britain was too strong to be ignored. The limit of concessions to the Boers had been reached, and Sir Charles Warrens force4000 stronghad reached the Vaal river in January 1885. On the 22nd of January Kruger met Warren at the Modder river, and endeavoured to stop him from proceeding farther, saying that he would be responsible for keeping order in the country. Warren, however, continued his march, and without firing a shot broke up the republics of Stellaland and Goshen. Bechuanaland was formally taken under British protection (3oth of September 1885), and the sphere of British influence was declared to extend N. to 22 S. and W. to 20 E. (which last mentioned line marked the eastern limit of German South-West Africa). The natives accepted this new departure in British policy, and from this time forward Khamas country was known as the British protectorate of Bechuanaland. That portion lying to the south of the Molopo river was described as British Bechuanaland, and was constituted a crown colony. In 1891 the northern frontier of the protectorate was extended and the whole of it placed under the administration of a resident commissioner, a protest being made at the time by the British South Africa Company on the ground that the protectorate was included in the sphere of their charter. Under the able administration (1885-1895) of Sir Sidney Sheppard (q.v.) peace was maintained among the natives. In 1891 the South African Customs Union was extended to British Bechuanaland, and in 1895 the country was annexed to Cape Colony. At the same time it was provisionally arranged that the Bechuanaland protectorate should pass under the administration of the British South Africa Company. 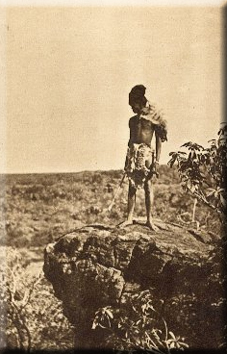 Khama and two other Bechuana chiefs came to England and protested against this arrangement. The result was that their territories and those of other petty chiefs lying to the north of the Molopo were made native reserves, into which the importation of alcohol was forbidden. A British resident officer was to be appointed to each of the reserves. A stipulation, however, was made with these chiefs that a strip of country sufficient for the purposes of a railway to Matabeleland should be conceded to the Chartered Company. In December 1895 the occurrence of the Jameson Raid, which started from these territories, prevented the completion of negotiations, and the administration of the protectorate remained in the hands of the imperial government. The natives proved loyal to the British during the war of 1899-1902, and Khama and other chiefs gave help by providing transport. Anxiety was caused on the western frontier during the German campaigns against the Hottentots and Herero (1903-1908) when many sought refuge in the protectorate. A dispute concerning the chieftainship of the Batawana in the Ngami district threatened trouble in 1906, but was brought to a peaceful issue. The Bechuana were entirely unaffected by the Native rebellion in Natal. It became independent as Botswana in 1966.